Mark Colf Excavation Contracting, Inc - Welcome, and thank you for visiting our site. We are a family owned and operated excavation company, located in Canandaigua, NY. We do top quality work at affordable prices. Mark has over 30 years experience in excavation construction. No job is to big or to small. Welcome, and thank you for visiting our site. We are a family owned and operated excavation company, located in Canandaigua, NY. We do top quality work at affordable prices. Mark has over 30 years experience in excavation construction. No job is to big or to small. Welcome, and thank you for visiting our site. 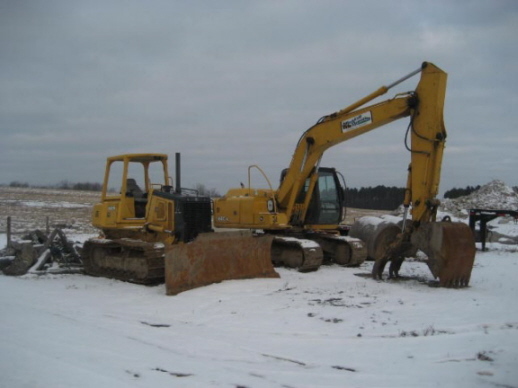 We are a family owned and operated excavation company, located in Hopewell, NY. We do top quality work at affordable prices. Mark has over 30 years experience in excavation construction. No job is to big or to small. We do Residential & commercil site development, electric, water, & sewer lines, Septic Systems, Septic Inspections, Septic tank pumping, driveways, grading, footers, basements, Masonry work, clearing, ditching, and drainage. We also do retaining walls. We have completed several large retaining walls, that we are very proud of. We also sell and deliver sand, gravel, stone, and topsoil. Call Us Today, For a Free Quote. Copyright 2010 Mark Colf Excavation Contracting, Inc. All rights reserved.